Etymologist Eliyahu shares this message showing the detail of Zach. chapters 3,4,5,6: and the Hebrew depth of the Naba of the Mashiyach’s Name then and Now totally related to the Hebrew No3.h3091 and G2424,Yahushua-Yahusha, and the simple understanding of the normal Hebrew words for Salvation,save,saved,saving,etc. commonly used in Yisrael in our everyday conversation still today, and how in Israel they pronounce the name for Joshua in Hebrew. This video is a Hebrew and Greek in depth teach that will help one coming out of the J word religious systems of today have a solid Foundation and Emunah in the stand in our one and only Hebrew Mashiyach Yahushua. Etymologist And researcher Eliyahu show’s the details of His Name from Luke 1:31,2:21; Not jesus iesus G2424 Roman Catholic to H3091 Joshua English, to Yahushua, How most Christians Preachers miss the fact that Moses Mosheh change Hoshea= H1954 name to Yah=H3068 short YaHH=H3050 to equal=H3091= Ye^H Oshea Yahushua .A powerful in-depth teaching showing the Greek and Hebrew comparison and looking carefully at the Phonetic sound of the correct spelling and the correct sound of His Name Shem. from Greek 2424 to h3091 And how religious leaders are still teaching Preconceived ideas with out checking for themselves. We do not put down any one that is using Latin letters to speak our Messiah’s true Name and say that one group is better then the other on their spelling with love we need to be in Unity as we come out of the pagan name iesus. To learn the real name of our Savior, go look at the Hebrew letters for the spelling of “Joshua”: yod-hay-uau-shin-ayin (It isn’t rocket surgery you know). Both had the Hebrew name: YAHUSHA (spelled twice in the TaNaK as YAHUSHUA). The Greek alphabet cannot transliterate this word, and “Latinizing” the Greek form only makes it freakier. The Name of our Savior contains the Name of our Creator, because He is our Creator, and His Name is His identification (His identity is wrapped-up in His Name. YAH = “I am” . . . so, Yahusha (or Yahushua) literally means “I am your salvation” as well as “Yah is our salvation”. He is the everlasting Father, and El Shaddai (Is. 6:9, Rev. 1). The Savior is in fact the Being that revealed His Name as Yahu(vv)ah — there’s no argument there in the least (He is the “Alef and the Tau”). We use the spelling Yahusha or Yahushua because it states the Name and function or role the messenger Gabri’el provided. We find that Scripture records the practice of giving names, and commonly the chosen name will provide a description or attribute of the individual. Because Gabriel included the phrase, “for he shall save his people from their sins”, it is obvious that there was a distinctive meaning in the Name carrying the idea of salvation, from the root yasha. Also, the Name chosen aligns with the meaning of the name of the man that brought Israel into the promised land (called Joshua by tradition). ‘Behold, a virgin shall be with child, and shall bring forth a son, and they shall call his name Emmanuel’, which being interpreted is, (Eloah) with us. “Yeshua” Or “Yahushua”? “Joshua” isn’t quite right; and “Yeshua” is still pretty far off, because Gabriel’s explanation of the Name at Luke 1:21 describes the function (salvation) along with Who is providing that salvation. You will soon learn that the form “JESUS” is derived directly from “YESHU“, explained below. What “YESHU” means will change your thinking about this radically. In the Talmud, unbelieving Yahudim hatefully recorded the Name of the Mashiach of Yisrael as “YESHU”, often seen spelled today as “Jeschu”. Q: Where did we get the form “JESUS” from? “Yemach Shmo u‘Zikro” NOTE: There’s not actually a letter “W” in the Hebrew alef-beth; the letter “W” is a rather new letter to our own alpha-beta. It’s called a “DOUBLE-U” for a reason; our letter “U” is a perfect match with the sixth letter of the Hebrew alef-beth, now called a “WAW”. (More accurately a “UAU”). Acronyms are abbreviated messages, like “SCUBA” stands for “self contained underwater breathing apparatus”. YESU IESOU – Going into Greek, the letter “Y” became an IOTA because Greek has no “Y”; also, the sound of “SH” was lost, because Greek has no letters to make this sound. The letter combination “OU” is a diphthong, arising from the Greek attempt to transliterate the sound “OO” as in “woof”. Our letter “U” and the Hebrew letter “WAW” does this easily. JESU is used also. YESOUS IESOU took on an ending “S” to form IESOUS, since the Greek wanted to render the word masculine with the ending “S”. Going to Latin, the diphthong “OU” became “U”. JESUS In the early 1530’s, the letter “J” developed, causing a tail on proper names beginning with the letter ” i “, and words used at the beginning of sentences. This “J” is really the letter “IOTA”. Many European languages pronounce “J” as the letter ” i “, or a “Y” sound. They even spell Yugoslavia this way: “Jugoslavia”. There is no letter “W” in the Hebrew, since the letter “double-U” came into existence in western Europe during the 13th century, and even then only in certain areas; Sweden just added the letter “W” to their alphabet in 2007, even though the rest of the world has been spelling their country with the letter for centuries. The words they use this letter in are borrowed from other languages. The Hebrew letter commonly seen as “waw” is more accurately expressed as a “UAU”, since it conveys the sound of “U”, and sometimes “O”. When the letter “hay” is followed by a “uau”, the sound is to be “OO”, as we hear in “hallelu Yah”. That “u” sound you hear in “hallelu Yah” is the letter “uau”. Certainly, Yahuah is our salvation, our only Savior, for He Himself took on the form of human flesh, offering that flesh as atonement for all the sins of mankind, once for all. Yahushua revealed the Father to us, and His chasid (lovingkindness) that endures forever. When I began researching the tetragrammaton, all the resources pointed to the Jewish Encyclopedia as their credibility. This also is the source for their comments regarding the statements like “the actual pronunciation has been lost” . . . . and other comments about how it should NEVER be uttered aloud. Then, the Jewish Encyclopedia declares that “YAHWEH” is perhaps the closest rendering that can be made, given what we know now. But, as I went to the Hebrew alef-beth to learn how to make the letter sounds for different words, I discovered that the letter that is CALLED “waw” by name is really more like our letter “U”. The thing is, the Hebrew alef-beth has no letter “W” (double-U) – the letter “W” is less than 400 years old itself. This made me ponder why they would divert the four letters (which Yosephus declares are VOWELS), so as to be impossible to pronounce by inserting a letter that never existed, nor does it exist now, in the Hebrew. There’s simply no letter “W”. So, I asked myself why might this be. AH! They don’t want anyone pronouncing the true Name! And, the authors of the articles in the Jewish Encyclopedias are JEWISH ORTHODOX RABBIS, who revere the TALMUD, which prescribes the death-penalty for uttering the Name aloud. Then, it was simply a matter of looking at all the situations where the letter we call “waw” is used in other Hebrew words. We see the “waw” in the phrase “hallelu Yah”, where the “u” is this letter. Also, in the spelling of the tribe known as “Yahudah”, the same letter is giving us that “u” sound. The letters are symbols for SOUNDS. The secret is simple: “YAHUDAH” is spelled YOD–HAY–UAU–DALETH–HAY. Notice the four letters in this five-lettered word. It’s as simple as saying “YAHUDAH”, without the sound of the letter “D”: YAHUAH. With no letter “W”, it’s amazing these “scholars” managed to pull this fraud on so many people for so long, eh? The answer to this question is, not accurately; but let’s investigate why that is. Going through the motions will help us appreciate the difficulty getting alphabets to interface with one another, and perhaps help emphasize the importance of putting our trust in the original autographs, not the transitional language of Greek. Mashiach Yahushua was not given a Greek name, but a well-recognized Hebrew Name, yod-hay-uau-shin-ayin, and spelled yod-shin-uau-ayin in it’s shortened form. One has to understand the distinction between transliteration and translation. I think it’s a good idea for us all to take a little time looking at the results of the “reverse transliteration” process, to help us get closer to some names and words; however the “flaw” is thinking we can reach through foreign alphabets which have intermediate distortions of letters, and grammar rules which have no application to the original language. But, for the fun of it, it’s not a bad idea at all. This word, “IASOUA” is the best one can do to transliterate the Name “YAHSHUA” into the Greek alphabet. the Greek grammer rules, so this adds an ending letter “S”. They should have wound up with this:IASOUAS But, they wrote the Messiah’s Name as IESOUS. Notice the letter “E” instead of “A”. They were eliminating the “YAH” sound, and retaining the sound of their female healing deity, IESO. I wanted to take the word “DUDE” and transliterate it into Hebrew. Oddly enough, taking this word to the Hebrew alphabet simply involves 3 letters: dalet-uau-dalet — which spells the name of the famous king of Israel known as “DAVID”. In Hebrew, we have been led to believe this word is the name “DAVID”, or even “DAWID”. Actually, either of these transliterations could be slightly off, or different from the original word meaning “beloved” in Hebrew. It may be that the sound of the Hebrew letters, dalet-uau-dalet, is in fact, “DUDE”, or “DA’UD“. It is very closely associated, it seems, with the Hebrew word for “breast”, “DAD” (with a short sounding letter “A”). There are plenty of Arabian folks running around, probably Ishmaelites (Hagar’s descendants), and even some Edomites (Esau’s descendants, Edomim), who are called by Hebrew names; one you may see often is “YUSEF”, or YOSEF. Another name that is popular with these Arabs is DA’UD. So, perhaps my theory that the Hebrew letter we call “waw” (uau) is far from being anything like our modern letter “W”, and is more like our familiar letter “U”. “W” is called “double-U”; so maybe we need to think of the “waw” as a single “U”, since it seems to sound like one in so many Hebrew words. The letter “W” is recent, only coming into existence in the 1300’s; so the actual letter in the Hebrew is closer to being what we know as the letter “U”. The phrase “HALLELU YAH” uses this same Hebrew letter called “waw” to give the “U” sound. The name of the tribe “YAHUDAH” gives us the same result (yod-hay-uau-dalet-hay) — and this is the same spelling, and order, for the Creator’s personal Name, with the addition of the letter dalet. Perhaps instead of calling it a “waw”, we need to call it a “UAU”. If we go to the Greek language, and attempt to spell YAHSHUA, the first thing we notice is that we cannot do it for the lack of two letter/sounds: the Y and the SH. But, if we had to come as close as we possibly could, it would still wind up like trying to play a symphony on a 4-string banjo. It would have to begin with the Greek letter IOTA, then to simulate the vowel sound in “YAH” the second Greek letter would have to be an ALPHA. Clement of Alexandria spelled YAHUAH (yod-hay-waw-hay) with the Greek letters IAOUE. Perhaps the upsilon alone would not be enough, but to make the sound of the Hebrew waw (oo as in “food”), we would need to link it with the omikron to make a “dipthong”, OU, then add the ending sound A (alpha). It would be best to simply ignore the Greek rule to make the word masculine (this would add an ending “S”). Now we have the Greek letters IOTA, ALPHA, SIGMA, OMIKRON, UPSILON, ALPHA. The only aberrations this leaves is the first letter IOTA, and the SIGMA. This only makes the best attempt to sound the SHORT form of Mashiach’s full-blown Name (YAHUSHUA), shortening it to YAHSHUA (or the popularized Y’shua). The best the Greek can do is make it sound something like “IASUA” (if we transliterate the Greek into Latin letters, like the ones we use in English, which is frighteningly close to IESU, based on YESHU described above. Writing is perhaps the most important human invention; but it’s objective is to record/document the sounds of letters. Where we lose information and accuracy is where alphabets interface with one another. The Greek language is nothing short of a meat grinder to certain letter sounds. So, we each should study enough to answer the question, “Can we transliterate Messiah’s Name (Yahshua) back into the Greek?” The more I’ve looked into it, the answer is no; it’s just a matter of how much mutilation a person is willing to accept — toward the Name above all names. Scholars, etymology experts, and theologians will not disagree with you about other Hebrew names’ true transliterations. “James” is really “Ya’aqob”, “John” is really “Yahuchanon”, and “Isaiah” is really “Yesha Yahu”. But, when you want to use the correct Name for the Mashiach of Israel, they may get red-faced and defensive of their “Jesus” derived from YESHU. Could there be a spiritual stronghold involved in the use of the word “Jesus”? 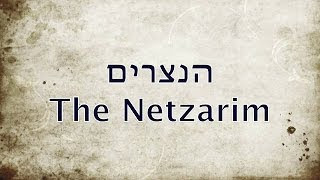 If you know it to be a lie, then stop calling your Mashiach this false name. Call Him by His real Name, the Name above all names: YAHUSHUA. It’s the same spelling in Hebrew (YOD-HAY-WAW-SHIN-AYIN) used for the successor of Mosheh whom they call “Joshua”, as anyone can see even the Greek letters match for both at Acts 7 and Hebrews 4. Most all seminary-trained folks are still cruising down the road explaining things in terms of what they refer to as the “New Testament Language” (Greek). So, they’re blocking the vital source of all Truth, Hebrew; and until they can break with this mental block, they will remain a prisoner, and “a student of the New Testament Language.” What is the language of Israel? Yahuah is not Greek, and neither is Yahushua. His Name and His language is Hebrew. The Jesuits approach the issue of the Name from only the Greek, dissecting the fine points of the letters, exactly as most all seminary-trained folks have been programmed to do. The Name of our Mashiach is provided by the Greek translation, but only because it points to the fact that Mosheh’s successor and our Mashiach’s Name use the same letters in Greek. Hebrews 4 and Acts 7 contain the evidence of this. Our Mashiach was named Yahushua, and the Israelite leader that brought the children of Israel into the Land was also named Yahushua. Both mens’ names are rendered as IESOUS in the Greek, so all we have to do is look up the real Hebrew spelling for the man translators have called “Joshua”, and we’ve found the precious treasure we’ve been seeking. We don’t need to investigate the fine points of HETA and EPSILON – these things are rendered irrelevant. Yahushua’s Name is Hebrew, so that’s where we need to look. It means Yah – is our – salvation. IESOUS has no meaning in Hebrew, unless “horse” is part of the meaning (SOOS, the Hebrew word for “horse”). “SUS” is Latin for PIG. Zus/Zeus may have some meaning to the Greeks, but not to Israel. Our Husband’s Name is not Greek. indication that the Mashiach or His Name is associated with that specific spelling, yod-shin-uau-ayin. Another name used in Scripture is “Shua”. Again, there’s nothing to become agitated over with that either. The name Y’shua and Shua both share the common root, yasha, meaning rescue, save, or help. The definition of “SHUA”, #7770, is given as “a cry for HELP” (rescue, save, deliver); and this is from a ROOT, the word YASHA, spelled yod-shin-ayin #3467. So, upon closer scrutiny it is simple to understand when the connection to the root is properly applied to it. Often a primary root is overlooked, but in this case the root YASHA gives the component “SHA” its meaning, to save. “SHA” is a component in the Name YAHUSHUA (found 2 times), and YAHUSHA (found 216 times). The Greek language serves to confirm one clear thing about the true Name of our Mashiach: Acts 7 and Hebrews 4 both point to the fact that the Name is spelled yod-hay-uau-shin-ayin. This is simply because both “JESUS” and “JOSHUA” have the underlying letters, IESOUS. The Talmud would like us to believe that His Name is spelled JESCHU, based on YESHU, the acronym for yemach shmo u’zikro, “may his name be blotted out”. The debate on how to pronounce the Greek letters H (heta) or E (epsilon) should not even be on the table. The Name is not Greek, nor is it able to be transliterated using the Greek language. All scholars realize this is a fact. Greek is unable to convey the sounds necessary for the Name, so to consider it as a viable source, or even as a reasonable transitional language, is a huge mistake to make. YHWH: Yod Hay Uaw Hay The 4 letters (“Tetragrammaton” is Greek, “four letters”). WHAT IS THE NAME OF THE CREATOR OF THE UNIVERSE, AND HOW IS IT BEST PRONOUNCED? Wikipedia: Blotted-out “Yahushua” TRUE NAME DELETED FROM SITE! Is Sunday the First Day of The Week Sabbath in the Greek? 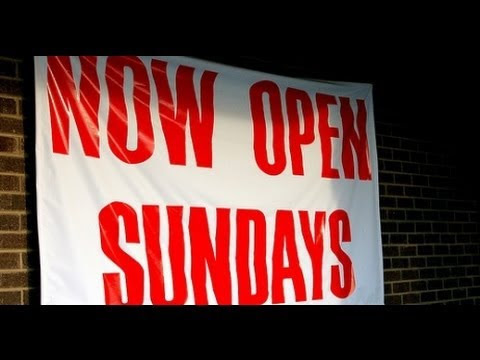 Etymologist Eliyahu speaking to a live audience at Eagles Haven Upper room; shows plainly what does it really say in the Greek about the 8X the term is used “the first day of the Week” as a foundation of the basses of having Sabbath rest on the first day of the week Sunday instead of Shabbat 7th Yom or day. come and study with us and unlock this truth from the scriptures in Greek. Exposing Principalities & Powers Rulers of darkness of this world operating in the Christian Circe’s Church’s and religions of this world System, Age,Unveiling the Replacement Theology codex’s to replace YHWH YHUH and Yahushua Ha Mashiyach and all Kodesh words to words and language of the frequency sounds of pagan deities of the principalities in the spiritual realm. To get the lost house of Yisarel that does not know their Yisrael that has power authority in their words and tongue NOT to speak out words of Ha Shatan’s words any more. Etymologist Evangelist Eliyahu teaches how there was more then 2 Sect’s in the days of the Hebrew Messiah Yahushua and just what were the first believers called and what Sect did Yahushua Preferred teaching Talmud or Written by Mosheh and haNavi. Who is Your Elohim,G-d,? YHWH or Ba’al ? Etymologist Eliyahu shares his Revelation understanding in the word of what is being repeated again again and we must all have a time in our Chay-lives to destroy the prophets,temples,names of Ba’al off our tongues,families,friends,and our lives Chay’im, come and see and hear this powerfull end time message for he that has ears to hear and proclaim the true Shem Name of Yisrael to all the nations all around us with boldness and fully settled in our Emunah. Etymologist Eliyahu teaches the true Latin words Replacement over Clean Greek words that point to a completely different meaning that has no connection to the original language, where even the Greek matches the Hebrew meaning but the words we speak here is not English but a form of a pagan Latin Deities that have nothing to do with the very Ruach Breath of YHWH, calling on a Holy Holi spiritu It’s time to come out of the Matrix of Babylon mother harlot that has been passed down to Christianity. Etymologist Eliyahu shares how to take out the spiritual trash of the Paganisim of Christianity that’s been passed down from generation to generation and is now time for all the followers of Yah to do some check up from the neck up spiritual self cleansing in Yahushua Shem to clean our selves to watch out for our families as will to protect them from all the hitch hiker spirits trying to come over to the body of Yahuwah and bring compromising double minded walk mixture in the camp. Cast those spirits off yourself if you allowed them to lay hands on you one time or another in your historic past, command those familiar spirits to get off your mind and being and homes, even their material of teachings music etc. has that Python spirit explained in this video. 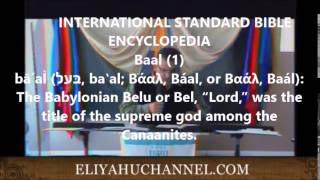 Etymologist Eliyahu shares with a Cry out to all the House of Yisrael to Come out of these Pagan Catholic Ritual words that are even used in all religious beliefs besides Judaism and Christianity, Messianic movement and even in the Followers of Yah different groups. Watch how He breaks down in detail research from Historical Docs as well as in the Hebrew and Greek of how these words bless, blessing, blessed are roots of total Pagan origin and have nothing to do with Hebrew and Greek But are actually a Catholic blood ritual of ancient Pagan origin, Join us on this live Sabbath service of correcting all the pagan words from our minds and tongues. The Word PEACE is not SHALOM, Stop praying for it ! Etymologist Eliyahu Shows-Proves-explains the true meaning of the word Peace-Pac-Pax-is a word that has nothing to do with the clean word SHALOM in Hebrew , once you learn this you will never want to mix Qoy words of Pagan origin with your Prayers ever again,becuse we’ll get what we pray for Hoshea 4:6,as we’ve been if we continue to use this controling word political word called Peace and undermining meaning to control peoples Sovereignty of true SHALOM into a authority of Kingship under the U.N.
Isaiah 12:2 says, Yahuwah (Strong’s H.3068) has become my yeshuwah (Strong’s H. #3444 translated “salvation”). This yeshuwah is the noun form! At John 5:43 Yahuwshuwah (see how I spell the Son’s Name?) says, I am come in my Father’s Name. At Exodus 23:20 Yahuwah says, I will send my “A”ngel before you…my Name is in Him. Angel means messenger. At Deuteronomy 18:18-19 we see Yahuwah ‘s plan to raise up a prophet/messenger like Mashah and put His Words in mouth. The A on Angel is capitalized at Exo. 23:20 because it is Yahuwshuwah, Yahuwah’s Salvation; and also The Word (Deut. 8:3; it is every utterance of Yahuwah that restores us to life and health), that is being sent before them. If Hebrew letters in a name establish the character and the calling of the one named (see 1 Samuel 25:25; as his name is so is he), and they do, we can learn from that principle that since the Son has the same character as His Father; then, the Son’s Name will contain all of the letters of the Father’s; and hence, Yahuwshuwah; pronounced Yah-hoo-shoo-wah. There are those that say that Yah-shuwa mean Yah-cries out and they assert that Yahuwah has no reason to “cry out”. They see crying out as unrelated to being “saved” or sha. I found at Psalm 50:1 that Yahuwah does indeed “cry out”; it is written there: The mighty Creator, even Yahuwah, hath spoken, and called (qara’: cry out) to the earth from the rising of the sun unto the going down thereof.” Again, we see at Deut. 8:3 that it is every utterance of Yahuwah that restores us to life and health; I take that to include whatever it is that Yahuwah cries out to the earth about. As to the shuwa/sha issue, my study buddy Dauwd Ray, who has spent around 20 years applying his 240 IQ and his mastery of all three forms of Hebrew to the study of the Names of the Father and the Son, was quick to point out that Yahusha is an improper construct in Hebrew. Since Yahuwah, at Isaiah 42:8, says He will not share His Great Name with another, to me, it always seemed to follow that His Son would not share His Name with another either. To me this explains why Yahuwshuwah does not share His Name with the Joshua/Yahshua referenced throughout the Word. My study buddy Dauwd teaches that these were precursors to Yahuwshuwah’s Name. Many see this as an excuse to just give up on the Name of the Son; I don’t. Some have said we can’t even know the Father’s Name until Yahuwshuwah returns. But, at John 14:23 we read that if we keep His Commandments that both Yahuwah and Yahuwshuwah will come and make their abode with us. My position is if you are waiting for Yahuwshuwah’s return to learn their Names, you aren’t doing it right! Malachi 3:16 teaches us there is something great to be gained by way of meditating on the Father’s Great Name. I am in hot pursuit of that. If it is your position that we can’t know the Names of the Father or the Son until they get back, would that be to say that “My sheep hear my voice” in John 10 applies to everything but the Father and the Son’s Names? At Hebrews 13:8 we learn that Yahuwshuwah is the same yesterday, TODAY, and forever. At John 17:6 & 26 and Hebrews 2:12 quoting Psalm 22:22 we find out what Yahuwshuwah was doing today; teaching and declaring His Father’s Great Name! Note: We can’t walk as He walked unless and until we are doing the same! See 1 John 2:6. Can we know the Son’s voice and still feel sure we just do not know His Name?? To me, this is inconsistent. If you are confused on the names that springs from hearing to many voices. You get to evaluate what we are saying here and I highly recommend you exercise your senses get out of double-mindedness on the issue asap. As you know, a double-minded man shall receive nothing from Yahuwah. See James 1:8. Why can’t we just refer to Him as my Precious Savior or Wonderful Savior? In my view there are two issues with this; if the Father’s Great Name is in the Son’s as I assert, then, you will be blotting out the Father’s Name contrary to Deut. 12:3-4 (blot out the names of the pagan deities but do not do so to my name). And if the Father’s Great Name is in the Son’s as I assert and you bury it under common nouns you will be failing to publicly proclaim the Father’s Name in the Son’s contrary to Exo. 9:16 (His Will is that His Great Name be publicly proclaimed) and John 12:32 (if I be lifted up). Part of the way we lift Him up is by way of publicly declaring His Name. all combined together tell us that ALL of the letters in the Father’s Great Name will be in the Son’s! 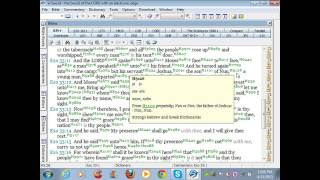 This shows us that the name Yeshua is blotting out letters of Yahuwah’s Great Name! Since the letters of Yahuwah’s Great Name in ancient Hebrew tell us about the CHARACTER of Yahuwah, to take away or blot out letters of the Father’s Great Name from the Son’s would be to take away the character of the Father from His Son! Ouch! “He who has seen me, and has comprehended what he is looking at, has seen the Father.” John 14:9. So, if you call the Son Yeshua, you could well be telling us that you have never seen the Father in the Son!